Author Jeffrey Morris and the artists at Future Dude unveil Parallel Man -- a seven issue comic-book mini-series from ComiXology (and Diamond Comics) -- on October 8th. 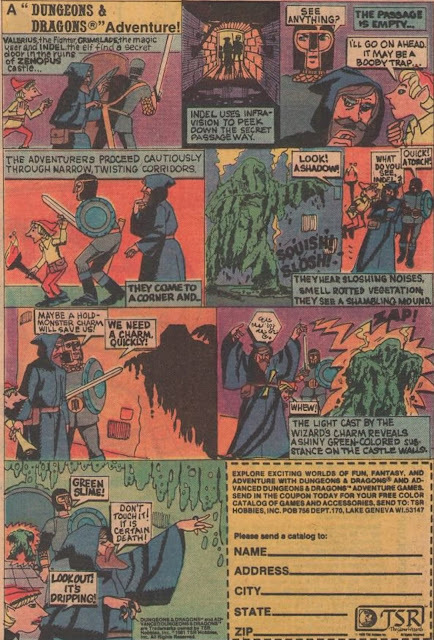 The story arc is titled “Invasion America” and involves an alternate, totalitarian version of the U.S.A. that attempts to enslave and exploit our reality, here. The narrative commences with some historical explanation. In one alternate world, America -- instead of inventing the atom bomb in the 1940s -- discovered the technology to travel between parallel universes. Many alternate Earths have already been classified and conquered by these imperialists, and the first issue shows readers Gamma 31, a strange alternate Earth where giant mushrooms are the dominant life-form. Another alternate Earth, previously unclassified, is a world where the dinosaurs never went extinct, and man never rose to dominance. Some of the best passages in the first issue involve the premise that our quantum reality is next in line to be subjugated. Our Air Force One is attacked while in flight, captured, and forced down in the “other” reality. In short order, President Obama is introduced to his “new leader,” an arrogant tyrant named Warren Cartwright. Our Commander-in-Chief is told in no uncertain terms that he must surrender his world, or be destroyed. This passage of the story plays as gripping “what if” thriller, and is handled with a crisp, compelling sense of verisimilitude. The remainder of the issue introduces our hero, Nick Morgan, and moves at lightning-fast velocity as he attempts to unravel the mysteries of Cartwright’s master plan: the Ascendancy. The art work and narrative approach in Parallel Man reminds me a lot of early 1960s “can do” futurism, an era before our politics and our belief in ourselves became so small. 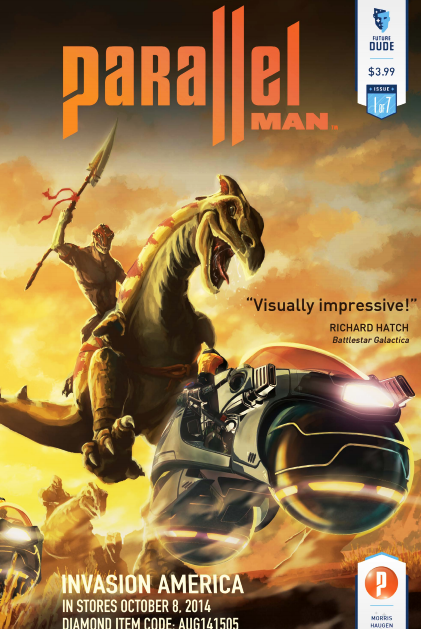 And with dinosaurs, giant mushrooms, parallel universes, heroic secret agents, and nefarious conspiracies, Parallel Man feels like an ingenious mash-up of Land of the Lost, Land of the Giants, Star Trek, The X-Files and Danger Man. There's both a retro and futuristic feel to the whole enterprise, and Parallel Man moves with confidence, purpose and quite a bit of style. I look forward to issue number two, to see how the compelling story-line develops…. If parallel worlds are your thing, I'd recommend Charles Stross's Merchant Princes series for a probable, though grim outcome to this sort of thing.